DENVER, CO — Strange Craft Beer Co. and Wit’s End Brewing Co. announced their plans today to share Strange Craft’s brewhouse and tasting room on Zuni Street. The first of its kind in Denver, Strange and Wit’s End’s co-tasting room will brew and serve beers from each brand’s portfolio. Wit’s End plans to close its current facility before the end of the year and looks to sublease the facility to an aspiring new brewery. The Wit’s End brew crew will begin brewing at Strange Craft in coming weeks. Wit’s End Head Brewer Tyler Bies will take over as Head Brewer of both brewing operations. These changes will allow both breweries to share resources and let Strange Craft Founder Tim Myers to focus on operations and managing the business, while Wit’s End Founder Scott Witsoe will step down from daily management to explore other endeavors. With a bittersweet goodbye to Wit’s End’s old facility where Scott Witsoe used to brew his beers one barrel at a time comes exciting new opportunities with Strange Craft. The first is a bittersweet collaboration brew to celebrate their co-habitation, a hoppy Belgian Session Ale brewed with honey called Moving Day. It will be fermented with a blend of Strange Craft and Wit’s End’s house yeast strains. After the move, Wit’s End will continue to serve its flagship beers— Jean-Claude Van Blond Belgian-style Blonde Ale, Wilford Belgian-style Oatmeal IPA, and Green Man Ale that lies somewhere between an IPA and a Red Ale— as well as rotating seasonal drafts at the new co-tasting room. Strange Craft will keep the taps flowing with its core lineup, One Barrel Wednesday brews, and an array of other experimental and collaboration beers. 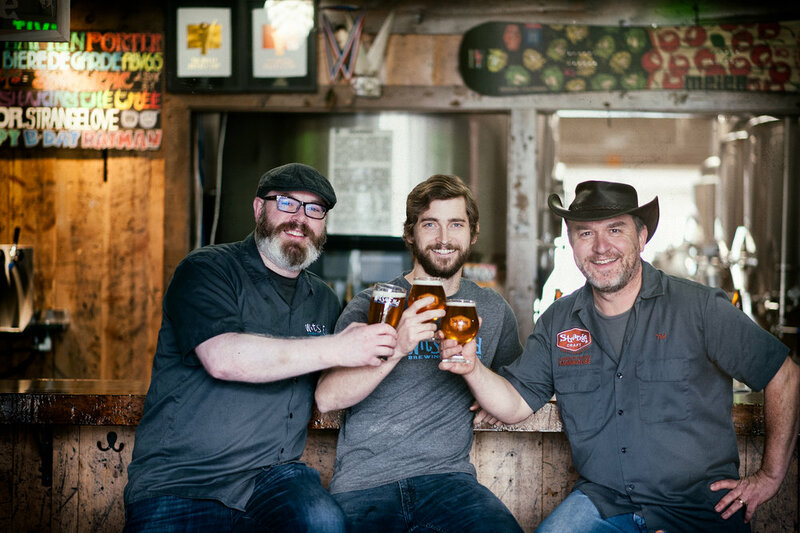 Click here for a detailed statement from Scott Witsoe about the evolution of Wit's End Brewing Co.
For more information about Strange Craft and Wit’s End’s co-tasting room and brewhouse contact Emily Hutto at coop@radcraftbeer.com. When Strange Craft Beer Co. opened south of Denver’s Mile High Stadium in May 2010, it was the first nanobrewery in the city brewing one barrel of beer at a time. Strange has since become a destination spot for Colorado beer drinkers, and taken home two Great American Beer Festival® medals and two World Beer Cup® awards. Visit the brewery online at strangecraft.com.